Renowned Psychologists like William James, Carl Jung, and Eric Fromm saw much of value in Buddhist philosophy and its positive impact on mental health. The modern mental health clinicians have found incomparable therapeutic efficacy in Buddhist psychotherapy. 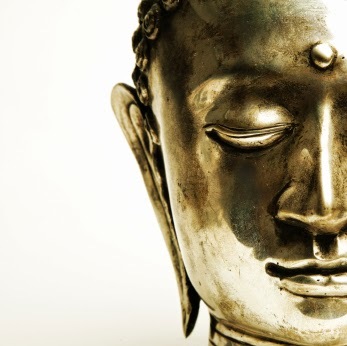 Buddhist psychotherapy has become a major complementary therapeutic strategy in mental health. Recent research has highlighted the importance of Buddhist psychotherapy in the treatment of depression, anxiety disorders, factitious disorders, addiction disorders, medically unexplained symptoms and various other psychological ailments. Buddhist psychology is increasingly informing psychotherapeutic practice in the western world (Kelly, 2008). Psychotherapy is generally defined as a means a treatment of emotional, behavioral, personality disorders based primarily upon verbal or nonverbal communication. Buddhism is a method of mind training (Bullen, 1994). In the Buddhistic approach, situational, and psychological states are viewed more holistically (Hall & Lindzey, 1978). As Sherwood (2012) underlines Buddhist psychotherapy is based on the Buddhist model of the cause of mental suffering (the noble fourfold truths) and the notions of attachment, permanence and clinging to notions of self as the perpetrating forces of mental suffering. Buddhist psychotherapy mainly deals with self-knowledge, thoughts, feelings and actions to minimize the psychological distress. Neale (2012) views Buddhist psychotherapy as a novel approach to the clinical practice of mental health and it combines aspects of conventional psychotherapy with traditional Buddhist psychological theory and practice. According to Neale (2012) the objective of Buddhist psychotherapy as just being mindful of one’s momentary experience without judgment have failed to understand the crucial role that wisdom and action play in the process of healing and change. Buddhism and Western Psychology often overlap in theory and in practice. Over the last century, experts have written on many commonalities between Buddhism and various branches of modern western psychology like phenomenological psychology, psychoanalytical psychotherapy, humanistic psychology, cognitive psychology and existential psychology (Aich ,2013). Buddhism is a religion that deeply discusses human mental process. Human mind has a special place on Buddhist philosophy and it has gone in depth to analyze the human mind. The Buddhist philosophy talks about the human mind and its pathological and non-pathological segments. In Abhidhamma – which is the higher teaching of the Buddha profoundly analyses human mental process. In Abhidhamma man is described as a psycho-physical being consisting of both mind and matter, and it gives a microscopic analysis of the human thinking process (Narada, 1956). In Abhidhamma the Buddha describes consciousness as a flowing stream intensely interconnected. These words were echoed by William James and in his theory of mind (1890) described that conscious mental life flows continuously like a stream. William James further illustrates the consciousness and writes thus - “the transition between the thought of one object and the thought of another is no more a break in the thought than a joint in a bamboo is a break in the wood” (James, 1988). The Buddhist Jathaka story book deeply touches the DSM (Diagnostic and Statistical Manual of Mental Disorders) based mental illnesses (Jayatunge, 2013). The Jathaka stories are a voluminous body of narratives that were compiled in the period, the 3rd Century B.C. to the 5th Century A.D. According to Professor Rhys Davids who conceptualized canonical Buddhist writings in terms of psychology in the early 20th Century, Jathaka stories are one of the oldest fables. Most of the DSM based mental ailments are vividly described in the Jathaka stories. These Jathaka stories discuss profound psychological themes. For centuries these stories helped the people to view individuals with mental illnesses with a compassionate eye. Some contemporary psychologists identify empathy as an automated, involuntary, biologically-inbuilt reaction. Nonetheless empathy is a part of social and emotional development. Goleman (2000) characterizes empathy as one of the key components of emotional intelligence. Rogers (1961) indicates that empathy and unconditional positive regard for the client create a growth promoting climate. Rogers thought that accurate empathy was one of the three core conditions of effective psychotherapy (Dowd & McCleery, 2007). Empathy strengthens the therapeutic alliance. Vyskocilova and colleagues (2011) highlight that empathy helps to understand both emotional reactions and the meanings of experience for the client. Buddhism is a practical philosophy that advocates providing empathic responses to humans as well as other living beings. In Buddhist psychotherapeutic approach empathy has a special status. Buddhistic empathy is a state of mind that is filled with wisdom, tolerance and loving-kindness. According to Buddhism, compassion is an aspiration, a state of mind, wanting others to be free from suffering. It's not passive -- it's not empathy alone -- but rather an empathetic altruism that actively strives to free others from suffering (Dalai Lama, 2005). In his famous lecture series at the Clark University in 1909 Sigmund Freud highlighted that psychoanalysis is a method of treating nervous patients medically. In classical psychoanalysis, unconscious defense mechanisms such as denial, splitting, and projection are identified as preventing psychic equilibrium and the genuine expression of self. In this method, defenses are made conscious, rendering them superfluous and health is achieved when one develops new, more appropriate ways of accessing validation, love, and connection (Neale, 2012). Safran (2012) describes psychoanalysis as a new way of looking at inner life. The psychoanalytical components in Buddhism have been emphasized by many scholars like Martin Wicramasinghe D.Lit, Laurence W. Christensen etc. (Jayatunge, 2011). Some contemporary psychologists see parallels between the Zen Buddhism and psychoanalysis. The primacy of experiencing for both disciplines, particularly concerning the experiencing subject’s momentary state of consciousness, forms a central theme for both Zen and psychoanalysis (Cooper 2001). Eric Fromm suggests that Zen Buddhism has a prolific influence on theory and technique of psychoanalysis. Buddhism and Existential-humanistic psychology share common grounds with realm of representation, realm of action and reality of self. Both psychotherapies are based on mindful awareness and directed towards growth potential. Both consider the human condition as a whole. Existential Psychotherapy is aimed to enhance self knowledge and search for meaning. Frankl (1946) believed that man’s main concern is not to seek pleasure or to avoid pain, but rather to search meaning in his life. Search for meaning help individuals to construct connections, find wisdom and experience healthy transformation when dealing with trauma. Individuals surviving a traumatic event often demonstrate a need to create meaning around events to make sense and regain coherence to their lives, thereby reestablishing the biographical continuity which had been lost (Abernathy, 2008). Search for meaning is parallel to Buddhist philosophy. Buddhist psychotherapy encourages clients to search for meaning hence allowing posttraumatic positive growth. Tedeschi & Calhoun (1996) define Posttraumatic growth (PTG) as positive psychological change experienced as the result of the struggle with highly challenging life circumstances. Buddha’s Eight Fold Path encourages to search for meaning of life, death, and suffering. In general terms Cognitive Behavioral Therapy (CBT) is a psychotherapeutic approach that addresses dysfunctional emotions, maladaptive behaviors and cognitive processes and contents through a number of goal-oriented, explicit systematic procedures. According to the Buddhist point of view, suffering is not caused by external, traumatic events, but by qualities of mind which shape our perceptions and responses to events. These same words were repeated by the Psychologist Albert Ellis in 1953 when he introduced his action oriented therapeutic approach – Rational Emotive Therapy. According to Ellis not the event that causes psychological distress but the belief held by the client. He further argues that one's emotional distress is actually caused by one's catastrophic thinking in appraising stressful events. Rational-emotive behavior therapy (REBT) argues that irrational beliefs result in maladaptive emotions leading to reduced well-being (Spörrle et al, 2010). The Buddha often used Insight-oriented dialog and Socratic Method to give awareness to his disciples. Insight-oriented dialog is similar to the methodology of cognitive therapies. In Buddhist Psychotherapy therapist and patient work together to identify dysfunctional mental patterns of thinking, feeling, and behaving that stem from a patient’s identification with their traumatic narrative. Once these specific issues are recognized, patients are prepared to use the healing relationship as an emotional corrective and employ meditation techniques to counter their particular cognitive-affective-behavioral habits (Neale, 2012). Meditation is a synchronized mind body technique and conscious effort that helps transforming the mind. In Buddhism meditation is regarded as the second category of the Eight-Fold Path. Buddhist meditation interventions have been integrated in to contemporary psychotherapy. Research based evidence supports the therapeutic use of meditation in a range of psychological ailments. Oshita and colleagues (2013) indicate positive outcome following Buddhistic meditation and the subjects benefited from meditation and showed significant increases in their sense of coherence, self-esteem and purpose in life. A number of studies have shown that meditation activates and deactivates certain brain regions. Brewer and colleagues (2011) report that deactivation of posterior cingulate cortex (which has a prominent role in pain and episodic memory retrieval) during a number of different types of meditation. Tsai and Edds (2013) found increased alpha and theta activities in electroencephalography (EEG) during various forms of meditation. The concept of mindfulness is based on Vipassana, a Buddhist meditation technique (Delgado-Pastor et al., 2013). Mindfulness has been described as a practice of learning to focus attention on moment-by moment experience with an attitude of curiosity, openness, and acceptance (Marchand, 2012). As Tusaie & Edds (2009) indicate the practice of mindfulness is increasingly being integrated into Western clinical practice within the context of psychotherapy and stress management. Numerous research concur the therapeutic effects of mindfulness meditation. Mindfulness-based Cognitive Therapy is strongly recommended as an adjunctive treatment for unipolar depression and anxiety (Marchand, 2012). de Zoysa (2013) reports successful use of Buddhist mindfulness practice in the treatment of a case of obsessive compulsive disorder. Smith and colleagues (2008) reveal mindfulness-based stress reduction helps in reducing somatic pain. Winbush, Gross and Kreitzer (2007) highlight that increased practice of mindfulness techniques is associated with improved sleep in mindfulness-based stress reduction research participants. According to the research finding by Cahn and colleagues (2013) suggest that Vipassana meditation evokes a brain state of enhanced perceptual clarity and decreased automated reactivity. Methha Meditation or Loving-kindness Meditation is widely used in Buddhist Psychotherapy. Loving-kindness meditation is a practice designed to enhance feelings of kindness and compassion for self and others. Loving-kindness meditation appeared safe and acceptable and was associated with reduced symptoms of PTSD and Depression (Kearney et al 2013). According to Hofmann, Grossman and Hinton (2011) neuro-imaging studies suggest that loving-kindness meditation (LKM) and compassion meditation (CM) may enhance activation of brain areas that are involved in emotional processing and empathy. They hypnotize that loving-kindness meditation and compassion meditation may provide potentially useful strategies for targeting a variety of different psychological problems that involve interpersonal processes, such as depression, social anxiety, marital conflict, anger, and coping with the strains of long-term caregiving. Anapanasati meditation or 'mindfulness of breathing is the first subject of meditation expounded by the Buddha in the Maha-Satipatthana Sutta, the Great Discourse on the Foundations of Mindfulness (Ariyadhamma, 1994). Mindful breathing increases oxygen intake and has stress reducing impact. Feldman, Greeson and Senville (2010) point out that mindful breathing may help to reduce reactivity to repetitive thoughts. Buddhist concepts have profound influence on Western Psychotherapy. Buddhist psychotherapy is based on the Buddhist model of the cause of mental suffering and deals with self-knowledge, thoughts, feelings and actions to minimize the psychological distress. Buddhist Psychotherapy has a positive impact on mental health and it can be used to treat a wide range of mental illnesses. Abernathy, B. E. (2008). “Who Am I Now? Helping Trauma Clients Find Meaning, Wisdom, and a Renewed Send of Self.” Compelling counseling interventions: Celebrating VISTAS’ fifth anniversary. Eds. G. R. Walz, J. C. Bieuer and R. K. Yep. Ann Arbor, MI: Counseling Outfitter. 199-208. Aich ,T.K. (2013).Buddha philosophy and western psychologyndian J Psychiatry. S165-70. doi: 10.4103/0019-5545.105517. Ariyadhamma,M.N(1994). Anapana Sati Meditation on Breathing. Retrieved Retrieved on 1 December 2013, from http://www.accesstoinsight.org/lib/authors/ariyadhamma/bl115.html. Brewer, J. A., Worhunsky, P. D., Gray, J. R., Tang, Y. Y., Weber, J., and Kober, H. (2011). Meditation experience is associated with differences in default mode network activity and connectivity. Proc. Natl. Acad. Sci. U.S.A. 108, 20254–20259. Bullen, L. (1994). Buddhism: A Method of Mind Training. Retrieved fromhttp://www.accesstoinsight.org/lib/authors/bullen/bl042.html. Cahn, B.R., Delorme, A., Polich, J. (2013).Event-related delta, theta, alpha and gamma correlates to auditory oddball processing during Vipassana meditation. Soc Cogn Affect Neurosci. 2 8(1):100-11. doi: 10.1093/scan/nss060. Cooper, P. (2001). The gap between: being and knowing in Zen Buddhism and psychoanalysis. American Journal of Psychoanalysis. Dalai Lama. (2005). Essence of the Heart Sutra. Wisdom Publications. Delgado-Pastor ,L.C, Perakakis, P., Subramanya, P., Telles, S., Vila, J. (2013).Mindfulness (Vipassana) meditation: Effects on P3b event-related potential and heart rate variability.Int J Psychophysiol. 90(2):207-14. doi: 10.1016/j.ijpsycho.2013.07.006. de Zoysa, P.(2013).The use of mindfulness practice in the treatment of a case of obsessive compulsive disorder in Sri Lanka.J Relig Health.299-306. doi: 10.1007/s10943-011-9461-0. Dowd, T., & McCleery, A. (2007). Elements of Buddhist philosophy in cognitive psychotherapy: The role of cultural specifics and universals. Journal of Cognitive and Behavioral Psychotherapies, 7(1), 67-79. Feldman, G., Greeson, J., Senville, J. (2010).Differential effects of mindful breathing, progressive muscle relaxation, and loving-kindness meditation on decentering and negative reactions to repetitive thoughts.Behav Res Ther.48(10):1002-11. doi: 10.1016/j.brat.2010.06.006. Frankl, V.(2006). Man's Search for Meaning. Beacon Press. Freud, S. (1975). A General Introduction to Psychoanalysis. Pocket Publishers. Goleman, D (2000). Working with emotional intelligence. New York bantam books. Hall, C.S. and Lindzey, G., (1978). Theories of Personality, 3rd Ed. New York: John Wiley &Sons. Hofmann, S.G., Grossman, P., Hinton, D.E. (2011).Loving-kindness and compassion meditation: potential for psychological interventions.Clin Psychol Rev. 31(7):1126-32. doi: 10.1016/j.cpr.2011.07.003. James, W. (1890). The Principles of Psychology. Holt. New York. (Reprint, 1983, Harvard University Press. Cambridge, MA). Kearney, D.J., Malte, C.A., McManus, C., Martinez, M.E, Felleman B, Simpson, T.L. (2013).Loving-kindness meditation for posttraumatic stress disorder: a pilot study. J Trauma Stress. 26(4):426-34. doi: 10.1002/jts.21832. Kelly, B.D. (2008).Buddhist psychology, psychotherapy and the brain: a critical introduction Transcult Psychiatry. 5-30. doi: 10.1177/1363461507087996. Marchand, W.R.(2012).Mindfulness-based stress reduction, mindfulness-based cognitive therapy, and Zen meditation for depression, anxiety, pain, and psychological distress.J Psychiatr Pract.18(4):233-52. doi: 10.1097/01.pra.0000416014.53215.86. Oshita, D., Hattori, K., Iwakuma, M.(2013).A Buddhist-based meditation practice for care and healing: an introduction and its application.Int J Nurs Pract. 2:15-23. doi: 10.1111/ijn.12040. Safran, J.D.(2012). Psychoanalysis and Psychoanalytic Therapies. The American Psychological Association. Smith, B.W., Shelley, B.M., Dalen, J., Wiggins, K., Tooley, E., Bernard, J.(2008). A pilot study comparing the effects of mindfulness-based and cognitive-behavioral stress reduction.J Altern Complement Med.14(3):251-8. doi: 10.1089/acm.2007.0641. Spörrle, M., Strobel, M., Tumasjan, A. (2010).On the incremental validity of irrational beliefs to predict subjective well-being while controlling for personality factors. Psicothema. 22(4):543-8. Tsai, J.F., Jou, S.H., Cho, W., Lin, C.M. (2013).Cogn Process.14(4):371-6. doi: 10.1007/s10339-013-0563-3. Tusaie, K., Edds, K.(2009).Understanding and integrating mindfulness into psychiatric mental health nursing practice. Arch Psychiatr Nurs. 359-65. doi: 10.1016/j.apnu.2008.10.006. Ven. Narada.(1956). A Manual of Abhidhamma. Buddhist Missionary Society.Kuala Lumpur, Malaysia. Vyskocilova,J.,Prasko, J., Slepecky,M(2011).Empathy in cognitive behavioral therapy and supervision .Activitas Nervosa Superior Rediviva Volume 53 No. 2. Winbush ,N.Y, Gross, C.R, Kreitzer, M.J.(2007).The effects of mindfulness-based stress reduction on sleep disturbance: a systematic review.Explore (NY). 3(6):585-91.